Lighting is very important for your home, from mood lighting to task lighting it can make rooms look larger, cozier, more interesting and even more expensive. Most homes, particularly apartments are poorly lit, and need a little help to give rooms the attention they deserve. Whether you own your home, are ready to decorate or live in a rental, here are some perfect lighting tips for you. Often its the bedroom that suffers the most. Living rooms often receive a lot of natural light through windows and open planned spaces, clever recessed lighting and expensive lamps. Depending on their size, bathrooms and kitchen have task lighting and general lighting that mostly do the job. The problem with most bedroom lighting is you heavily rely on lamps and wall lights; windows are often smaller and you have to find ways to create more light. After all, its a very private space and allowing more natural light in often means leaving curtains open, which is not always a wise thing to do. This is particularly true in apartment blocks, where neighbors and strangers can look directly into living rooms and bedrooms. 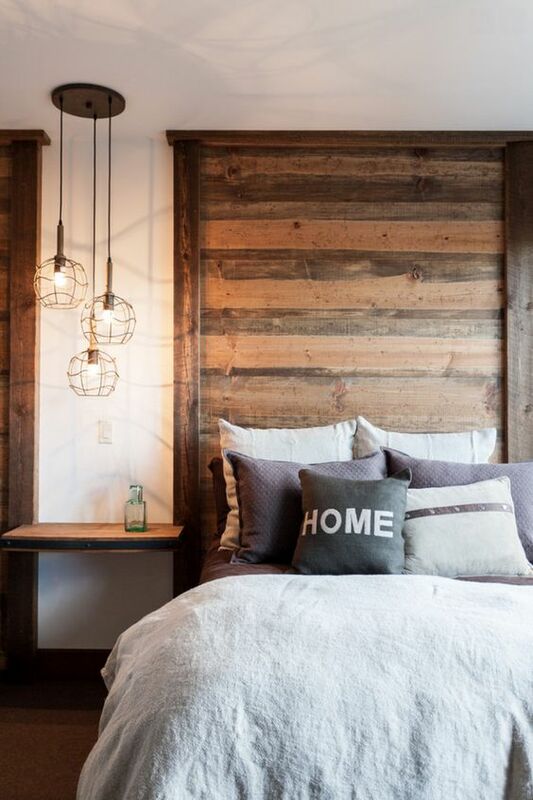 Think outside the box when it comes to bedroom lighting. You might be surprised what you come up with. 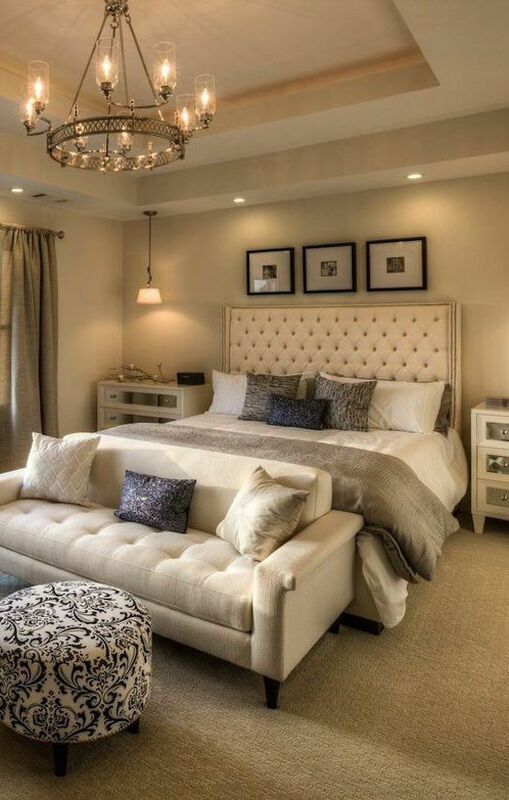 Here are 5 bedroom lighting ideas to help you. Bedroom size does matter. The larger the room, the more lighting needed for it to work and feel comfortable. Never rely on a single bulb, whatever the wattage. Rooms never feel well lit and things are always impossible to find because most of the light is up around the ceiling, when you need it lower; at mid height and below. Make sure you have enough outlets to easily use lamps, without having extension cords cluttering your floor space. If you use extensions, pin them against the wall and behind furniture. If you trip over them, you could do some serious damage to yourself and your lamps. The best solution is to call an electrical contractor to install additional outlets in the right places. The number of lamps and wall lights you want is personal, but remember you need at least three types of lighting; task lighting for makeup and reading, general lighting for dressing and finding things and mood lighting for relaxing. Experiment with brightness, shades and mood lighting. 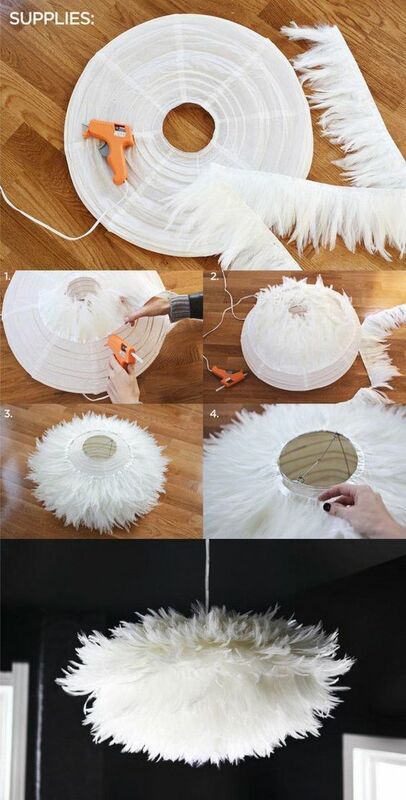 Create a new look like this DIY chandelier. Move your lamps around from time to time. 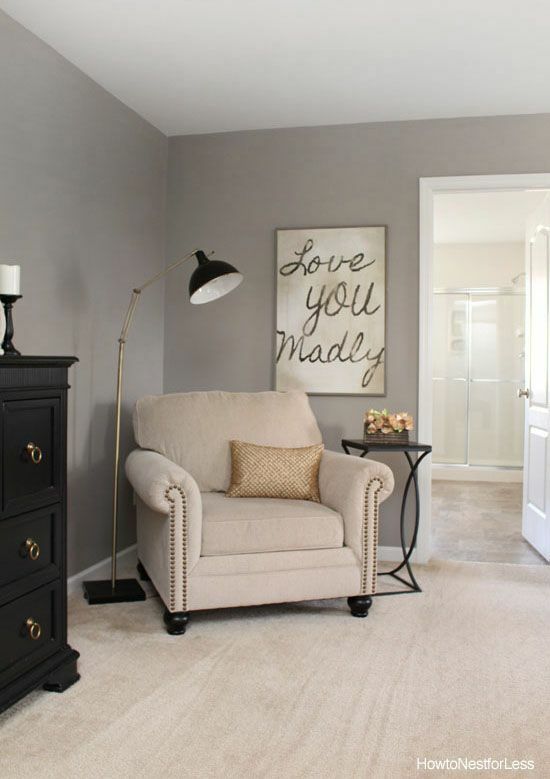 Create a reading nook and introduce more task lighting or add a string of lights instead of an overhead or wall lamp. Where you place your lamps and lights in your bedroom is important. Think in triangles. 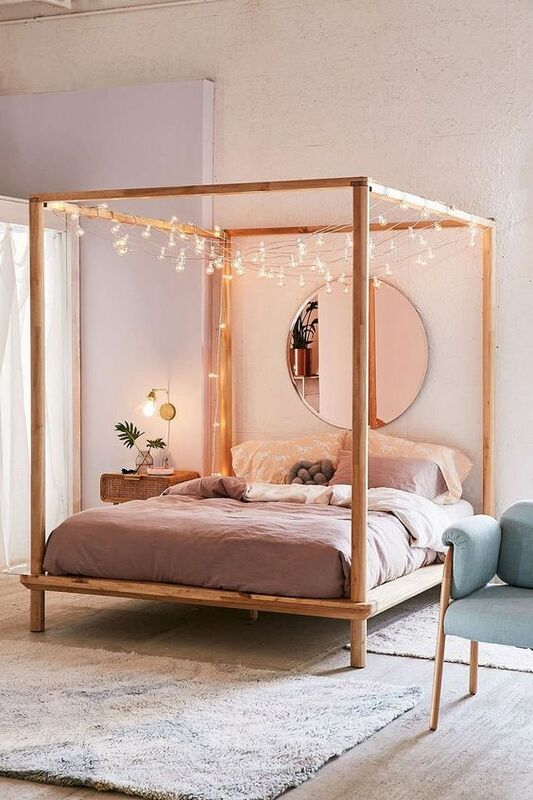 This will balance out your task and mood lighting issues and make your bedroom room feel and look bigger because light is through out the room and not focused around the ceiling. Recessed or ceiling lights that sit directly above your head cause problems when you are in bed. The light beams directly into your eyes and without a reading lamp, your eyes quickly become sore and tired. If possible add more lighting to the other side of the room. The tendency to have a ceiling light and two reading lamps by your bed leaves the other half of the room with barely any light, making it feel dim and even dark. This is particularly true if you have dark walls or dark furniture. 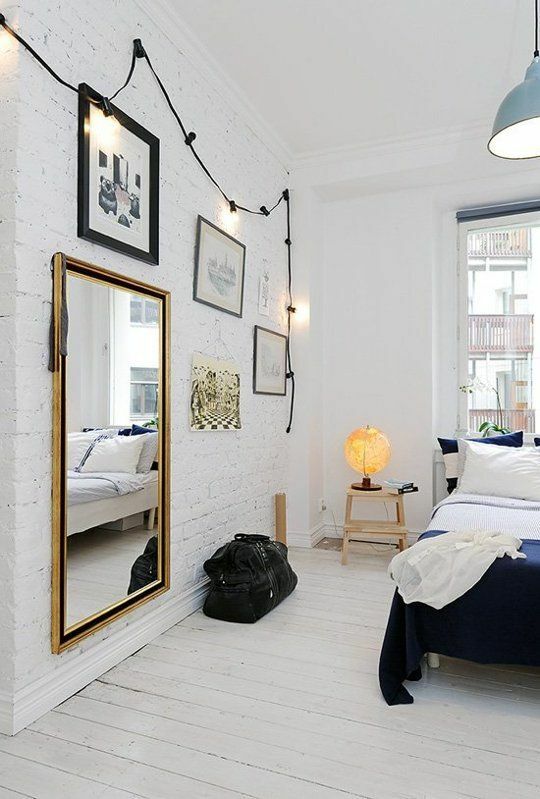 Find a way to introduce a third lighting source for balance as well as more lighting; maybe another lamp for a reading nook, a standing light in an opposite corner, a string of lights over a mirror or over a piece of art like above. Your choice of bedroom lighting comes down to taste, budget and where lighting sits on your master bedroom decorating priority list! There are literally thousands of different models of lamps, wall lights, sconces, and ceiling lights. If your bedroom lamps are for reading, they should be simple and easy to use, so you can find buttons or switches in the middle of the night. No shades or very light colored shades are best to radiate the most light. Lamp shades can be darker but they will absorb most of the light they emit, so take that into account and introduce more lighting so your room doesn't feel dim. Use dimmer switches to create the perfect lighting for your room. An evenly lit bedroom is easier to live in, sleep in and looks finished. The best way to do this is to combine lamps with wall lights, spreading light evenly to all corners of your bedroom. With more lighting sources, you can use lower wattage light bulbs in each fixture instead of only one or two high wattage bulbs. This allows you to control the amount of brightness in your bedroom at any time and reduces the amount of glare. 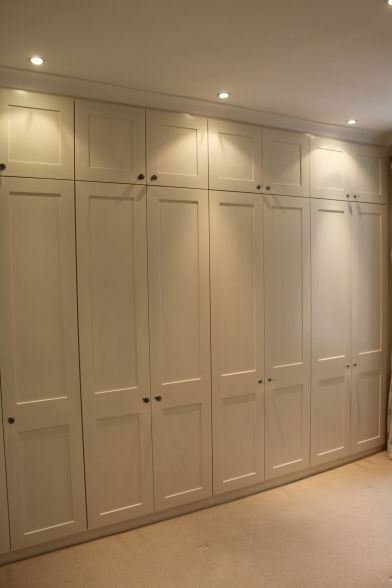 Most people forget about adding lighting to their closets, but closets are an important part of every bedroom. If you have a walk in closet or dressing room, you may have some lighting, but is it flattering? Is it enough to do your makeup or your hair? Does it emit too much heat, making it uncomfortable to dry your hair or get dressed? LED light bulbs are the best solution. 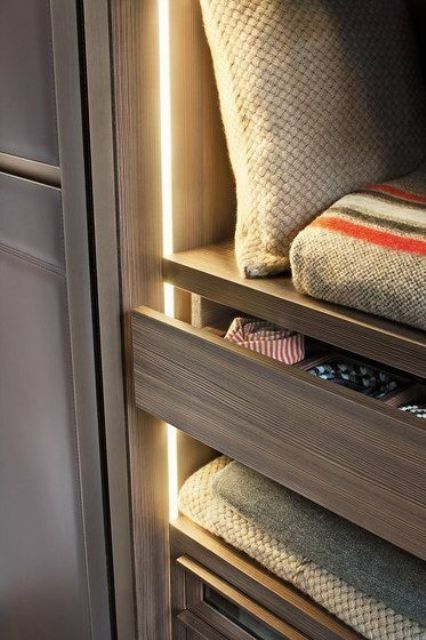 For smaller closets, lighting is still important so things that fall to the back of the closet can be seen and found easily. Strip LED lighting is easily installed and lights only when you open the closet doors. Perfect when you don't want to turn all the lights on. 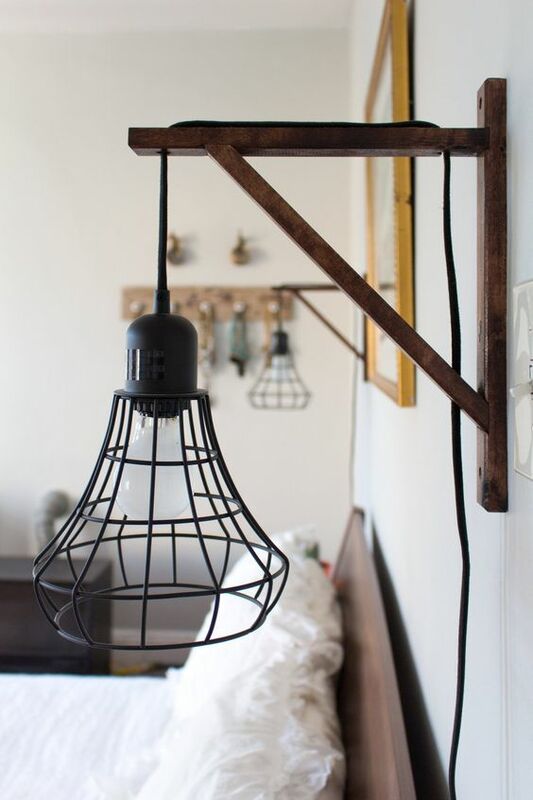 Hope this has inspired you to look for creative ways to create great lighting in your bedroom.